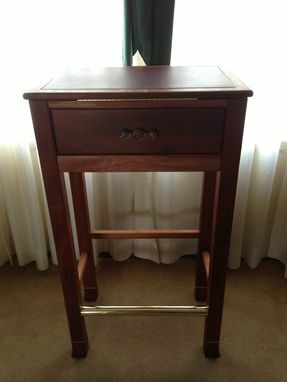 This Qing Dynasty Standing Desk is a complement to the Qing Dynasty Heritage Desk made for a customer from Phoenix, AZ. 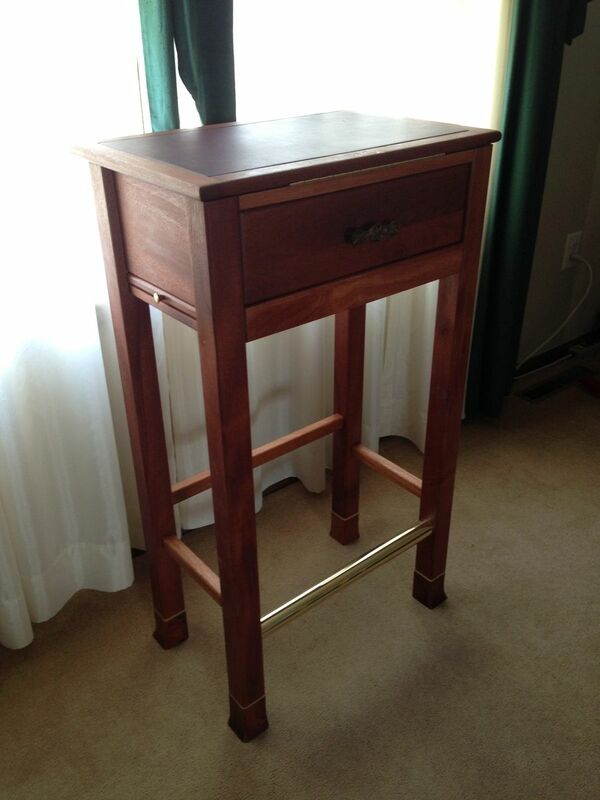 Leopardwood and genuine Mahogany from Brazil are the two main woods which make up the Standing Desk. 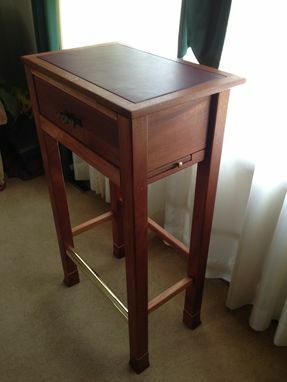 The desk is highlighted by the use of brass inserts in the legs, brass knobs for side pull-outs, brass top support, and a special made "Crane" drawer pull (matches the drawer pulls on the Qing Dynasty Heritage Desk). The top of the Standing is adjustable and supported by a brass support on the front rail. 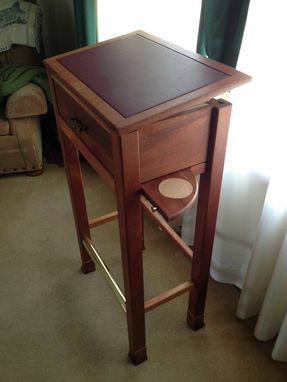 Each side has a pull-out: right-side a drink holder, & the left-side a book shelf. 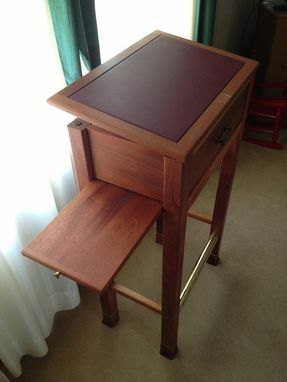 The top has an inlaid deep burgundy leather pad to gently support any work, or a lap top computer. 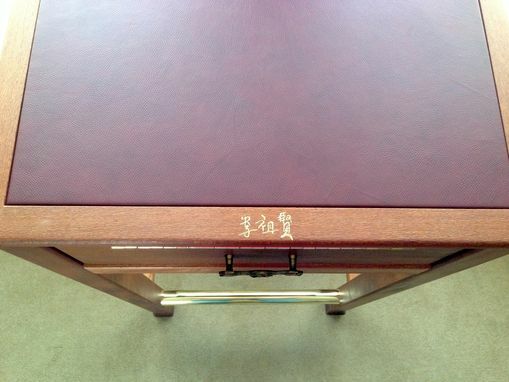 At the customer's request, his name was carved in Chinese and highlighted with gold paint on the top of the Standing Desk. The Standing Desk was given 2 coats of a Danish oil/polyurethane mix, allowed to dry, lightly sanded, and then hand-rubbed with wax.